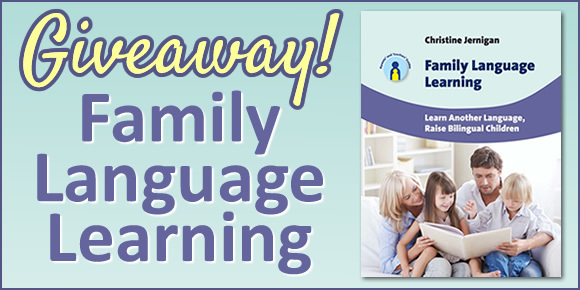 Note: Below my review of Family Language Learning is an interview with the author, Christine Jernigan, who offered frank and insightful responses to the questions I asked via email. 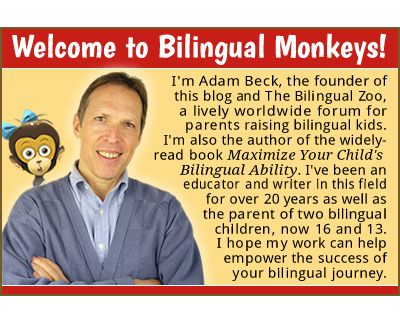 Through my interactions at this blog and at The Bilingual Zoo, it’s clear that there are many, many parents who are not native speakers of a certain language but want to nurture ability in that language in their children. In some cases, the parent already has some proficiency in the target language; in other cases, the parent doesn’t speak the language but hopes that the family can learn it together. In both cases, here’s a new book I wholeheartedly recommend: Family Language Learning: Learn Another Language, Raise Bilingual Children by Christine Jernigan. Although I think any parent raising a bilingual child would find it worthwhile reading, the book’s special focus on providing encouragement and support to non-native parents makes this a unique and valuable resource for parents who aren’t native speakers of the target language. The author, an instructor of foreign language teachers at North Carolina State University and a language coach for parents who want to raise bilingual children, has successfully raised two bilingual children of her own in a second language: Portuguese, which she began to acquire as a young adult. Alongside the wealth of helpful advice she gives parents for improving their own language ability while nurturing the language development of their children, she shares illuminating personal moments from her own journey, as well as the journeys of other non-native parents she interviewed. 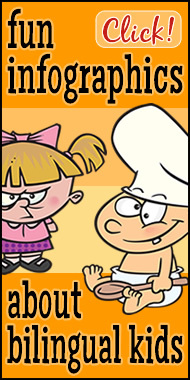 The fact is, no matter your current level of ability in the target language, and no matter the ages of your children, it’s possible for you to foster both your and your children’s proficiency in that language, giving them the same “special gift.” Yes, your expectations for the outcome must be realistic, in line with the efforts you’re able to make, but the experience can only be enriching, however far you travel on your bilingual journey. Family Language Learning is a well-researched and well-written book that winningly achieves its aim: to give non-native parents the practical tools and necessary inspiration to make language learning a family affair that can benefit both parent and child for a lifetime. By sharing her hard-won knowledge and experience in this smart, friendly guide, Christine Jernigan has done a real service for the success of non-native parents everywhere. 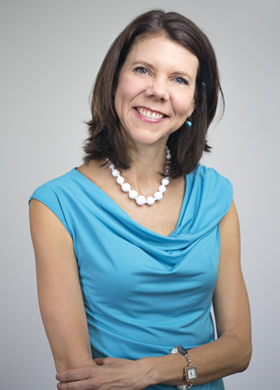 Christine Jernigan holds a Ph.D. in foreign language education, and her main research interests include motivation, expectation, and authenticity in the language classroom. To follow her work with bilingual children, see her website Bilingualwiki.com and her YouTube channel youtube.com/getbilingual. 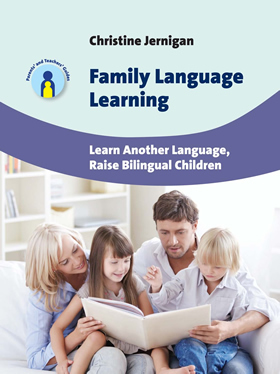 Visit Amazon to purchase Family Language Learning: Learn Another Language, Raise Bilingual Children. Christine kindly agreed to share her thoughts, by email, on the origins of her book and her personal experience as a non-native parent of two children who are bilingual in English and Portuguese. I’m from Nashville, Tennessee, and I have the accent to prove it. Liberal arts education at Wake Forest University. Graduate school at the University of Texas at Austin. I like being a student. So many people say, “I love to travel,” and I do, but I don’t like being a tourist. I like linking in somehow to the people who live in a country, even in small ways. This past year we went to the Dominican Republic. We were not Americans expecting English to be spoken at every turn. I want to teach this type of travel to my kids. 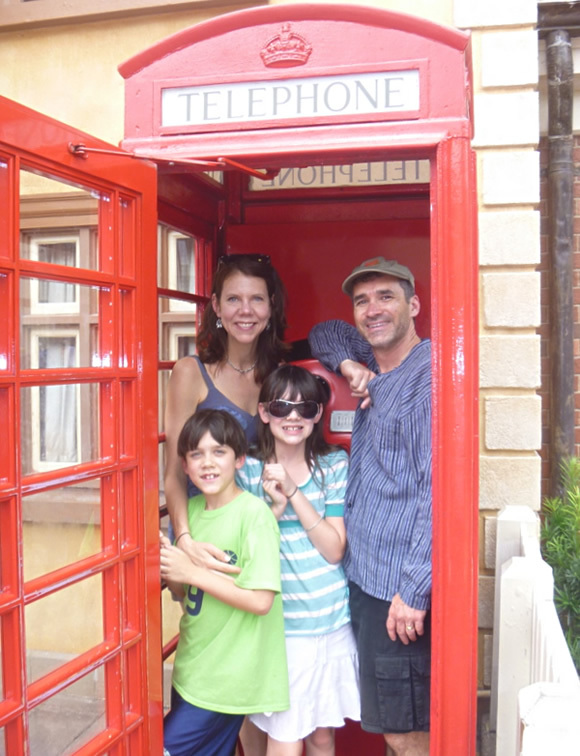 Why did you decide to write Family Language Learning? It’s funny, looking back, I had always been a terrible language learner—to the point of wondering if I had some sort of learning disability when it came to foreign languages. I write about this in the book. But after college I went to Brazil for a while to teach English, and I really liked Portuguese and I did pretty well learning it. When I was pregnant with my daughter, I wanted to raise her to speak it. She wouldn’t have to go through the torture of language classes like I did. So I started my own research. 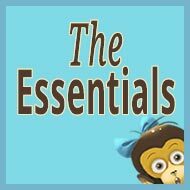 I did interviews for case studies and published what I found in parenting magazines. I got a lot of positive feedback and knew others were interested. How is the book different from other books on raising bilingual children? Two main ways. First, it’s geared more towards non-native speaking parents. Native speakers of another language will find it useful as well, but the focus is on parents like me who aren’t language wizards, but who want to give their children the gift of another language. Second, it’s easy reading. It doesn’t read like a how-to book or a textbook. The most consistent feedback I’ve gotten about this book is that it’s so “readable.” People who know me personally say they can hear my voice in the writing. 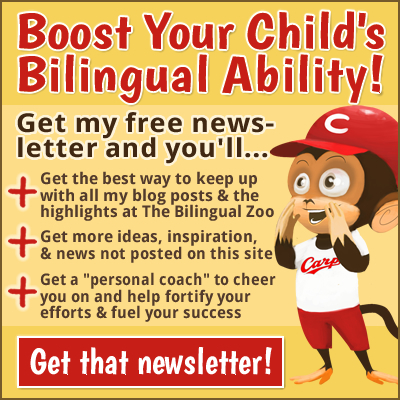 What would be your best advice for non-native parents who hope to raise children with active bilingual ability? Number one is to choose the right language. I would define that as the one that you feel passionate about. It doesn’t have to be the one that “makes sense.” For example, you might think that Arabic or Mandarin would be best for your child because of the job opportunities it opens up. But you enjoy learning Italian—no special reason why, just the way it sounds to you is nice. Go for Italian, because that’s the language you have a higher chance of sticking to. As a non-native parent yourself, what method do you use and which strategies and routines have had the strongest impact on your children’s bilingual development? I use the One Parent One Language (OPOL) method. So I speak Portuguese to the kids and my husband speaks English. Over the 13-plus years my husband has been hearing Portuguese, he’s gotten pretty good at understanding what we’re saying. Most helpful as a strategy has been what I call “pretending” (in the research, it’s called, “False Monolingual Strategy”). Basically, when I’m interacting with my kids, I act like I don’t speak English. Of course at this age, they know that I do, but I keep up the front (sort of like how adults and kids pretend to believe in Santa). So if they say something to me in English, I ask, “O que?” (“What?”), and they have to say it in Portuguese. Another strategy I use a lot is “feeding.” If the kids are having trouble remembering a word, I give them the first syllable. It jogs their memory and they can complete the word themselves. What difficulties or frustrations have you experienced along the way? How have you addressed those challenges? There was a year when my son really rebelled. I guess he was about 8. He was fine with me speaking Portuguese, but he didn’t want to answer in Portuguese. I insisted on it, using the strategies I mentioned a minute ago, and eventually he came around. It was really tiring at the time, though. Another frustration was with family members who didn’t want me to speak Portuguese while they were around. I understood where they were coming from, because typically you speak the language that everyone understands, so no one feels left out. But I had already established Portuguese as the only language I speak with the kids. And I strongly believe that this level of commitment is needed since I’m the only one speaking it to them. Eventually we came to an agreement where the kids speak less directly to me and instead direct what they’re saying to family members. It helps that we’re all crazy about each other so we got through it. What have been the greatest satisfactions of your bilingual journey? I really like that question. It’s great to have a code language with the kids. Not to talk about people behind their backs, but to be able to have a real conversation anywhere and know that we’re probably not being understood. Sometimes we’re surprised that we’re understood. Once we were at a music festival in Montreal and this clown came up to us wanting to do some sort of participatory stuff. James said to me, “Eu não quero falar com ele!” (“I don’t want to talk to him!”) and the clown said to him, “Não quer? Por que não?” (“You don’t want to? Why not?”). It was hilarious…a Brazilian clown in Canada, who knew? We love it when people try to guess what language we’re speaking. Guesses have included Japanese and Finnish. Once in a shoe store a man overhearing us a bit, started speaking German to us. Keeps life interesting. I’ve also really enjoyed reading children’s books in Portuguese. I could watch the kids just soak it up and it made me happy to see them learn a language I love so much. 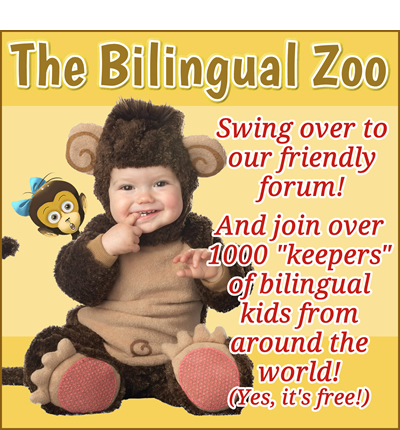 Finally, what words of encouragement would you offer to other non-native parents hoping to raise bilingual children? I’d say, don’t see this as all or nothing. Just exposing your child to a foreign language may be enough—as opposed to full fluency. 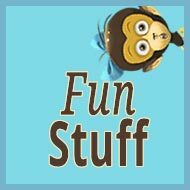 There are many different methods besides just “speak only the foreign language.” Some families may want to speak the foreign language on the weekends. Others may do it at a certain time of day, like bedtime—reading a book in the target language, using bath-taking and tooth-brushing vocabulary. 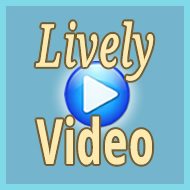 Family Language Learning offers a range of scenarios for you to fit a foreign language into your busy life. Congratulations to Alena! And a big thank you to everyone who entered. Christine and I wish all of you much success on your bilingual journey! 3. All entries must be submitted by the morning of Wednesday, May 27 (Japan time). On that day, the comments will be printed out and cut apart to serve as entry slips for the drawing. The slips will be placed in a big, empty tub of Lego and my son will select the winner at random. (But let’s not tell my daughter about this or she’ll probably be upset that she can’t pick the winner!) I’ll then contact the lucky winner by email and update this post with the results. I won’t respond to your comments here, but Christine and I look forward to seeing them. Thank you for entering the giveaway, and for sharing this information about Christine’s book with others. Fluent in English and Tagalog but would like my son and myself to learn Italian together. And yes, I am well aware we are in a Chinese speaking country but the pull of Italian is too great to ignore! My husband and I went to Italy for our honeymoon and I haven’t been able to stop thinking about it ever since! * Portuguese. It always sounded to me like music, full of playfulness. The book seems very interesting. And the researched theme seems to break the laws for raising bilingual children. Cannot wait to read it. Except of that, the article is amazing. Christine gives many positive thoughts and had written funny lines about her and her family. Thank you, Christine and Adam! Thank you for your kind words about Family Language Learning. I would argue that offering your child the first syllable of a word he’s trying to say is a great strategy. I talk about it in the book too. Please let me know if the book is helpful to you. And best wishes on this amazing journey! *One boy, 2 years old. Would like a second. I love the consonant game. I’m so excited, I do that too! Can’t wait to read the book! I’d love to know if you find the book helpful. 2. My kids are 7, 10, and 12…all boys. 3. Our native language is English. We’re trying to learn Spanish, and some sign language. 4. I’d keep going with Spanish because we get a lot of use out of it here…though I would love to learn Korean or Chinese because I want to visit South Korea and China some day. 4. Russian – it’s always been an interesting language to me and it’d be fun to learn! I think that’s key, that YOU are interested in learning. It will create long lasting motivation to share the language with your boys. Let me know how it goes! 3. Our native language is English. 4. We are now living in the Flemish/Dutch speaking part of Belgium. Our daughter was born here & will be schooled in Flemish when she is 2.5 years. I have been studying Flemish at a local class and try to converse as much as I can including reading Flemish children’s books to my daughter and watching children’s TV which is the only exposure she gets at the moment. Hoping to improve our understanding of the language to enable us to help our little one integrate, for us to understand the schooling system and speak with teachers!! So do you plan to stay there? I’m just thinking that if so, you might consider speaking English to her. If it’s short term though, I’d say Flemish is the way to go. And how wonderful you’re learning too. Spanish because it’s spoken around the world and I like the way of living of Spanish speaking countries I’ve visited. 4. Spanish – it would be a natural progression from Frnech, and we adore watching telenovelas! 2. A girl, 12, and a boy, 14. 4. I think I’d choose French because I love France and it’s just such a lovely sounding language. Food wine and culture are great language learning motivators! 4. French – I had it at high school and my mum used to recite poems in French when I was a kid. Not many people understand it, so it would be great as a “secret” language. Spanish as there are so many speakers in so many countries using it. Cantonese for enjoying kung fu movies! I’m native English, married to a native German. We speak (and sing) German, French, Spanish, Mandarin and my girls are learning Portuguese with Eurotalk Junior Language Challenge competition at the moment. Really interested in the book as I’ve taught the children these languages as my second Languages. I’d love to see how someone else did it! Would like to talk to Christine about promoting her book in UK. Have a great Sunday, Adam. 2. I have four sons, 12, 6, 2 years old and the youngest, he is three weeks old. 3. We study English, Spanish and Chinese a little. 4. I would like to have more materials and opportunities for learning Chinese with my children. And if we chose a completely new language to learn, it would be German. My best wishes to everyone! What lucky children to have parents who speak Chinese. 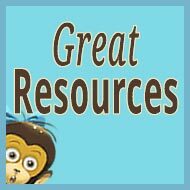 I give some ideas in Family Language Learning for the type of resources you might find helpful. Such a wonderful variety of language especially if you add in the French! I wish you the best in this worthwhile endeavor! I have an 11 year old son, we speak English and German at home. He has to learn French at school, but if I had my choice Spanish or Chinese would be better choices. Do you speak either language? Or would you be willing to learn a bit? 3. My native language is English. I learned Norwegian when I married a Norwegian and moved to Norway. 4. I’d like to learn Slovak. My grandmother was Slovak and couldn’t speak English. At the time in the USA, it was not looked upon positively to learn a foreign language. Therefore, I always felt that I never really knew my grandmother. She is dead now, but I always felt that I missed out on knowing her properly because I wasn’t able to communicate with her in her language. Learning her language would have enriched my life. What a beautiful tribute to your grandmother that you would like to learn Slovak. Would you consider speaking what you know to your grandson? I talk about grandparents-as-teachers in Family Language Learning– might be helpful. Best wishes as you learn a heritage language. 4. 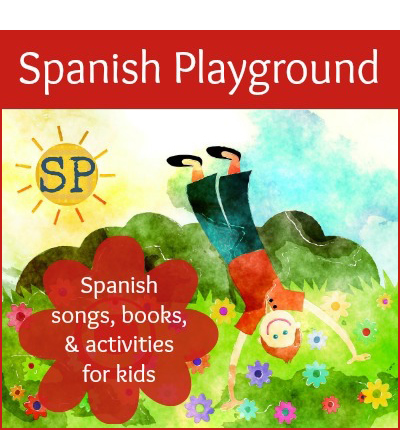 I want my kids to speak Spanish, but I’m interested in learning just about any other language. I’m currently dabbling with German and might at some point try Chinese. I write in Family Language Learning about how if you’re unsure which language to choose, it’s best to choose the one you are most interested in. That’s the one you’ll be most motivated to stick with. Best of everything as you decide how to use the different languages you know and are interested in knowing. 1. Laura in the U.S.
2. I have 2 boys, ages 5 and 2. 3. Our languages are English and Japanese. Japanese is non-native for me, so it is a struggle at times! 4. I would love to learn Spanish. It is such a beautiful language and there are many opportunities to use it in the U.S.
I’d go with Spanish if that’s where your heart lies. You’ll pass that excitement along to your boys, and enjoy learning while they learn. 4. I would love to learn a polynesian language…probably Maori. I like the sound of it and I think they have a beautiful culture. 3. Native language is English. We are learning Portuguese. Our lovely Brazilian au pair and neighbors are helping us a bit. 4. I learned a little Italian and French before. Both are beautiful and I’d enjoy learning more in the future. Portugues…a lingua mais bonita do mundo! Christine – great points! 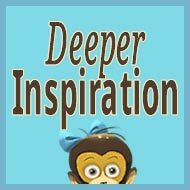 As a speech-language pathologist, I’m usually a proponent of parents speaking their strongest language to their children, however, you make two excellent points about a non-native speaker choosing the OPOL method: 1) being passionate about the non-native language and 2) “your expectations for the outcome must be realistic, in line with the efforts you’re able to make.” In my line of work, sometimes I’ve seen parents, both native and non-native speakers, disappointed with their results, and as you stated, the outcomes will be in line with the efforts! By the way, how exciting that you became passionate about Portuguese…I am from Brazil! I enjoyed reading your comments. I’ve had several interviewees say that speech therapists tried to dissuade them from speaking a second language at home and that really made me sad to hear. It sounds like you take a broad approach to language, looking not only at the rules (speak the language that is your strongest to your child) but also to the exceptions to the rules that can be very rewarding to families. Thank you for your work e viva o Brasil! I am a single parent and native English speaker, but since the kids were born I’ve always spoken Spanish with them. Their dad is Dominican. We’ve also been having a lot of fun learning some Italian and Portuguese lately: Italian because it’s so close to Spanish and I feel confident using it. And Portuguese because on our Latin rock playlists through Pandora, we often hear pop songs from Brazil. My kids are fascinated by these songs, so we’ve been learning the lyrics together. I’d also love to learn more Haitian Creole with my kids (I only know a little), because it’s a beautiful language and because Haiti shares an island with the Dominican Republic. I believe Haiti deserves much more respect as a country and people than it gets, and I hope my kids can be a part of that. I love reading how different places influence you as a parent. What a great model your kids have with someone interested in showing them the music, culture, and languages of a variety of countries. I’ve been to Haiti and the DR and find them both amazing. Most people don’t understand how beautiful Haiti can be. 2. A boy who’s 3.5 and a girl who’s 2. 3. I’m Spanish and we live in Spain but I talk to them in English – they love it! Such a big challenge when you aren’t a native speaker. 4. German. My husband and I have German friends and I studied their language a long time ago. My children love singing with me and I wanted new songs so we started singing in German! Little by little I’m trying to introduce greetings now. I’d love to read the book and get some advice and new ideas. It is a challenge, but you seem to be rising to the occasion. Please let me know if Family Language Learning is helpful and best of everything as you encourage different languages in your home. Though also a fan of Italian (who can resist their nature and cuisine? ), with my son I would like to study German. I love its logical structure and orderly approach. And Germany is also a great country to explore. What great reasons to choose a language. I love having a visit to the country as a sort of reward to learning and sharing the language. Good luck and drop me a line to say how things are going. 3. Italian is our majority language and English is our minority language (as non-native parent). My daughter started French in school. 4. Arabic. I had a fantastic work experience in Tunisia when I was in my mid-twenties. I really enjoyed the job, the people, the place, and the sound of the language. So which language are you thinking of sharing with your child? You have such good reasons for choosing English or Arabic, but your passion seems to lie with Arabic. 4. French. Quite simply for the beauty of it. And to be able to watch (and fully appreciate) French cinema. Beauty is a great motivator. And how fortunate you’re beginning so early in your children’s lives. You could go ahead and speak French so your yet-to-be-born child will hear its sounds and intonation. Even if you just read aloud a book in French or something from a webpage. 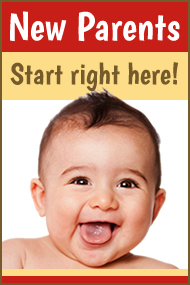 Family Language Learning has more tips on starting early with language acquisition. 4. I would like to learn Italian honestly because I love Al Pacino and since watching Scarface have a secret passion for Italian mobster/gangster movies. Silly I know! I have two daughters of 8 and 11 years old. Our native language is Japanese, and I am trying to keep speaking skill of English for my kids. 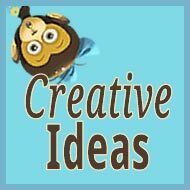 We just came back from US last month, and try to figure out what kinds of methods would be appropriate for kids, and found this site. If we would have more chances, I would like to study Mandarin and Hangul, because we could meet many Chinese and Korean friends living in US, and they have similar cultural backgrounds. 3) Native English, fluent in French and trying to learn Korean. 4) Spanish because I love the way the language sounds. I would love to introduce one day Portuguese, and I love Portuguese people and how their language sounds! Emilia, I’m not sure what this means…? We use OPOL at home as my husband only speaks English and I speak English and Portuguese. I would like to introduce a third language none of us speak, German. I chose German for its distinction from both languages spoken in our family hence a more difficult one for my son to learn when an adult. Fingers crossed I will get a copy of the book. Looking forward! 4- For me it would have to be Spanish because of all the family holidays there and of course Portuguese too because they both sound so beautiful and I wish I could understand. I’ve just completed my dissertation on how to support children with English as an additional language – this book would be of great support and interest to me. I speak Spanish, hubby speaks English. Gaelic is compulsory in Ireland so hopefully our son will learn this language. I would also like him to learn French as my brother lives in France and in the future my son might have French cousins to play with! My name is Mimi and I live in Italy. I have two girls, one is 5 and the other is 3 years old. I’m bilingual American/Italian. I speak English to the girls and my Italian husband speaks Italian to them. I would like to learn French with the girls. I love how sweet it sounds, and they have French cousins so it would be awesome not to be clueless about what they are saying all the time! 3. Native language is English. Daughter 1 has been speaking both English and Norwegian for about 7 years and is fluent in both (as am I for the most part!). Daughter 2 has yet to start speaking but can say a couple of words. She’ll be learning English from me and daughter 1 and Norwegian from daddy and step brother and sister. 4. Spanish or Italian always sound interesting. Native French, fluent in English And Italian. I also studied German and Japanese. I plan to learn Bambara with my son because it is my father’s mother tongue and I want to interact more next time I go to Mali.